Robert Wayne Corliss “Stubby”, 66, passed away on Thursday, November 15, 2018 surrounded by family after a long struggle with Dementia. Bob was born on January 14, 1952 in Brockton, MA he was a son of the late Theodore “Ted” R. Corliss and Norma M. (Fontaine) Corliss. Raised and educated in Whitman, MA, Bob was a graduate of Whitman-Hanson Regional High School Class of 1970. He played Hockey and Football and went on to play for the Boston Junior Bruins after graduating. Bob loved the classic cars of his era, especially his 1955 Chevy Bel Air. 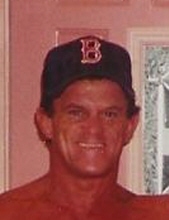 In 1977, he met Elizabeth J. Carter and moved to Arizona where they started their family together. While living in Phoenix Bob worked for the Arizona Carpenters Union. He was a skilled carpenter who would build just about anything, including a gazebo and a skateboard half pipe for his yard. Bob and Elizabeth moved their family back to Whitman in 1987. There he went on to work for the New England Carpenters Union Local 33. Bob was a hard worker, often commuting into Boston before the sun was up and ending the day doing side jobs for friends until it was too dark to work. Just like his father Ted, he loved the beach. They would set up camp and spend the entire day in Duxbury. No matter what Bob did, he did it to the max. He spent a lot of time training at Gold’s Gym, which led to Pro Body Building. In 1992, he won three Northeast Weightlifting Titles. Bob was also an avid sports fan with a passion for Hockey. He looked up to his favorite Bruins player Bobby Orr. Bob volunteered for the Whitman-Hanson Panthers Hockey Team, which resulted in a head coaching position. In 1995, he led his team to the Division II State Finals at the Boston Garden. Bob was very compassionate and donated his free time to young adults with special needs. After being diagnosed with Dementia in 2009, his daughter-in-law, Crystal coordinated his transition to Oak Hill Nursing Home, where he spent the remaining years of his life. Bob’s family would like to thank the staff at the Oak Hill Nursing Home in Middleboro and Compassionate Care Hospice for all of the exceptional care provided to him. Bob is survived by his loving children, Robert N. Corliss and his wife Crystal M. (Madden) Corliss, Shauna B. Corliss and Cheyenne M. Corliss; his grandson, Connor R. Corliss; his former spouse, Elizabeth J. (Carter) Drysdale and her husband Clifford “Bud” Drysdale; his siblings, Patricia A. (Corliss) Cantalupo, Theodore M. “Michael” Corliss, and Maribeth (Corliss) Patten and her husband Robert. He is also survived by many cousins, nieces, nephews and friends. He was the brother of the late Brenda L. (Corliss) Covert and his best man the late Robert N. Pagnini, whom he named his son Rob after. Calling hours will be held in the Russell & Pica Funeral Home, 441 South Main St., (RT28) West Bridgewater on Friday, November 23rd from 4:00PM-7:30PM followed by a prayer service in the funeral home at 7:30PM. Interment will be private. "Email Address" would like to share the life celebration of Robert W. "Bob" Corliss. Click on the "link" to go to share a favorite memory or leave a condolence message for the family.